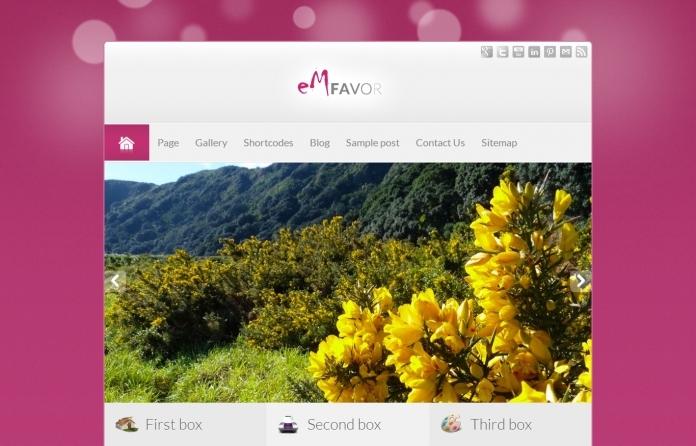 eMFAVOR is a nice pink theme with blurred lights in the background. These decorative lights make its simple design really interesting. 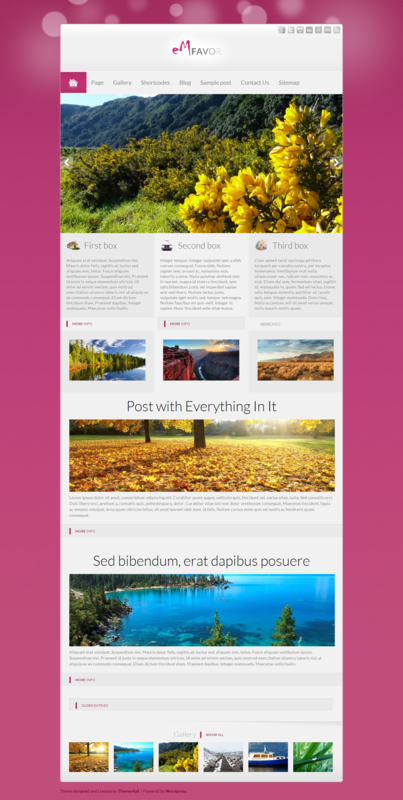 Outstanding headlines and accompanying pictures will surely attract visitors to your website.